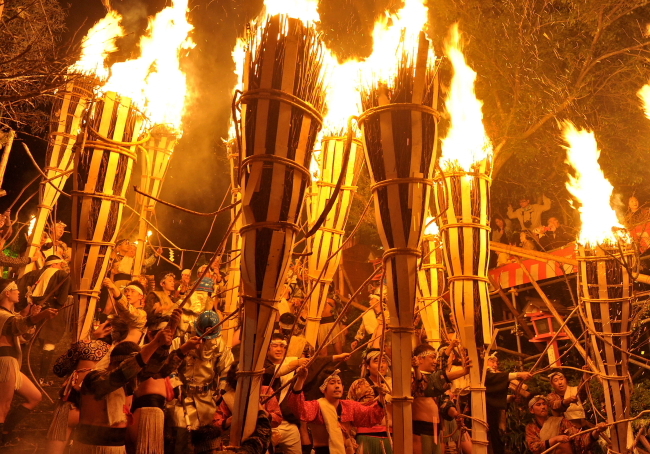 Japan’s fire festivals are spectacular and Kurama’s is no exception. 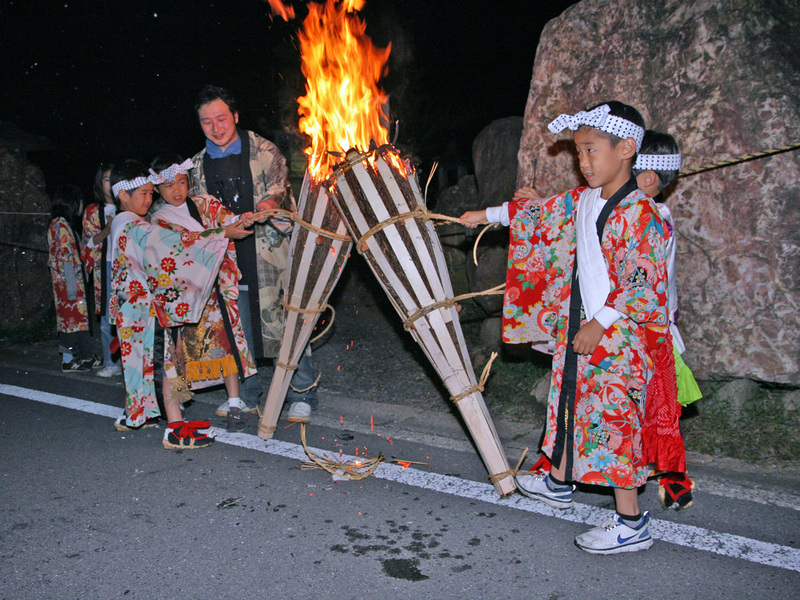 A small town just outside Kyoto, Kurama literally lights up every October 22nd, when giant watch-fires are lit throughout the town at night. 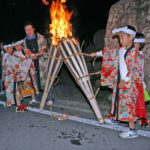 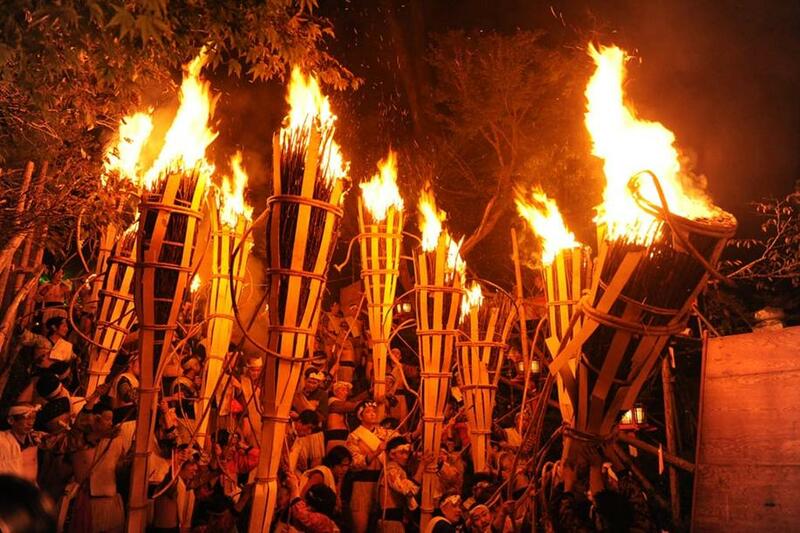 The festival starts at dusk, and features a parade of torches carried through the town from the Yuki Shrine to the Kurama Temple. 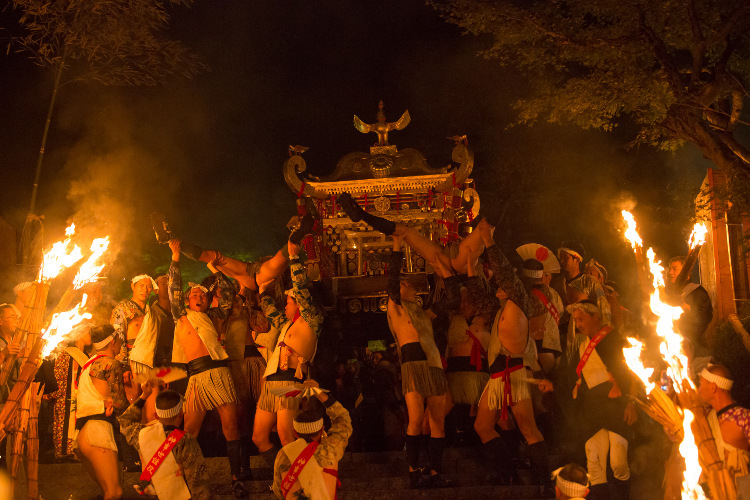 Following the torch parade, a procession of portable shrines, or mikoshi, are carried through the town, and the riotous festival continues until after midnight. 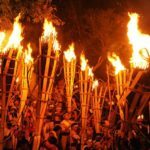 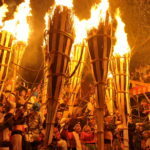 The Kurama Fire Festival is a focus of our October Scheduled Tour, and Into Japan Specialist Tours would also be delighted to include the festival in any tailor made itinerary.